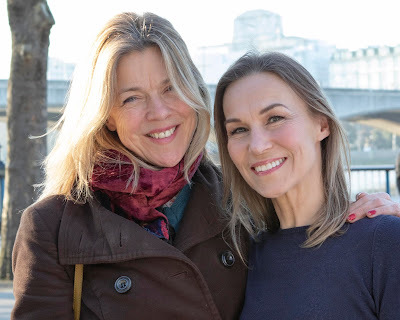 Nicholas Hytner's Othello in the National Theatre's Olivier auditorium is a disturbing and brilliant reworking of the tale, setting it squarely amongst the complexities of our modern era. However, in modernising the fable and notwithstanding two outstanding performances, Hytner has highlighted how morally flawed the work is. A play famed for its take on deception and jealousy, this 2013 treatment throws the closing act's charnel-house of uxoricide, be it casual or passionate, into the spotlight of modern day unacceptability. We first meet Iago, in civvies, outside a Venetian inn. The impression he creates of callous contemptuous envy of the Moor, with a heavy racist twist, could sadly be straight out of 1990s Eltham whilst the contempt that Brabantio, Desdemona's father shows to his new son in law, similarly drips racist vitriol that has a chillingly contemporary familiarity. General Othello and his wife are posted to Cyprus where he is to command the fortress against Turkish attack. Under Vicki Mortimer's astonishing design, as the Venetian facades fly up they reveal the full, gaping magnificent reach of the Olivier stage transformed into the island outpost. Barrack rooms are fabricated from steel containers, blast proof walls peppered with sterile fluorescent bulkhead lights are everywhere whilst around the perimeter a guarded wall serves as much to trap and foment trouble within its confines, as to keep marauding Turks out. If suburbia inspired the director's view of the civilian mainland, then it is Camp Bastion or maybe even Abbotabad that has provided the vision for this hellish garrison. Rory Kinnear's Iago is a horribly plausible rendition of modern evil. Cynical and jealous, despising of his General and himself lusting for Desdemona, his is no pantomime villain. With words and manner that drip envy and contempt, Kinnear's exploration of the ordinariness of evil is a masterclass in classlessness. As one of the leading black actors of his generation and working amidst a canon of literature that displays a shameful paucity of classic roles written for a black performer, one assumes that over the years Adrian Lester has been flooded with offers to play The Moor. If he has chosen to bide his time until the "right one" came along, he has chosen wisely . Under Hytner's direction and with Kinnear as his malevolent on-stage sparring partner, Lester's performance defines a nobility, that like the vapour trail of a rogue missile tumbling destructively out of control from the sky, is so horribly abused and manipulated by Iago. Never forget however that both Iago and Othello are ultimately no more than wife-murderers who both wilfully kill their spouses. But because Othello was deceived about his wife's infidelity the murder that he commits, so swiftly followed followed by his guilt-ridden suicide, are seen as the actions of a tragic hero. This tacit acceptance that his jealousy-motivated murder of Desdemona is "acceptable" suggests that the violence of men against women that underlies this tale, is far more sinister than the age old textbook issues pertaining to race, jealousy or what makes for a good General. There is almost an unwritten suggestion that if Desdemona had been unfaithful that Othello would have been justified in murdering her. This classic tale has such a mysogynist root that it arguably deserves outright condemnation, wherever it is staged. Modernising the story puts Desdemona (Olivia Vinall in this production) in an invidious position. Shakespeare's words were penned long before women's emancipation, so whilst Hytner may have placed his Desdemona amongst a mess-room full of beer drinking squaddies and jealous violent men (gender traits that are sadly timeless), her response to Othello's accusations are out of kilter with our expectations of a modern woman. And that she finally tries to shield Othello from his guilt with her last dying breaths, proclaiming his innocence, is as sickeningly compliant with a patriarchal society as it is intended to be heartbreakingly romantic. Would a modern woman pardon her brutal murderer? It's actually a revolting question to even consider. To see and to celebrate a play that ends with two husbands murdering their wives in cold blood surely has to trouble our collective conscience. Notwithstanding the play's amorality, rarely have two actors so magnificently embodied this infernal double-act . These performances will be discussed for years to come and for lovers of either Shakespeare or simply outstanding stagecraft, the production is unquestionably unmissable. 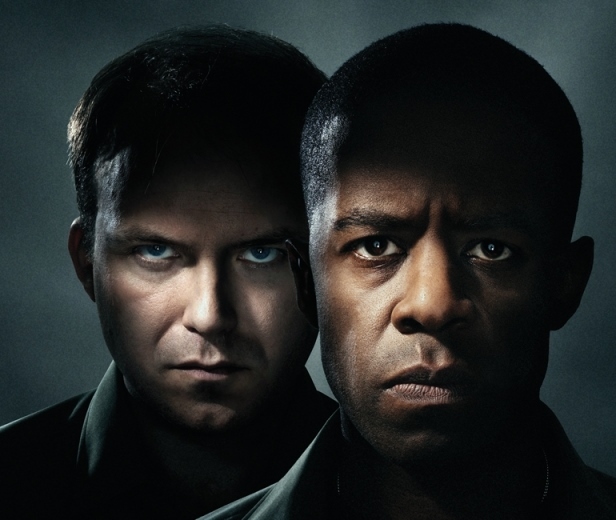 Making the Unmissable unmissable, those wonderful people at NTLive will be broadcasting Othello live to cinemas across the country and also globally, on and from 26 September 2013 . The broadcast production values of the NTLive series are world class, bringing outstanding theatre to within not only the geographical reach, but also the budget, of all.